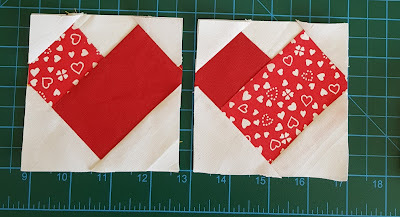 I've been thinking of what to make for upcoming Valentine's day as a quilt. Since I'm a quilt addict, to me every special day means making quilts related to that day. So I've started with this adorable mug rug which is made of two hearts filled with love. 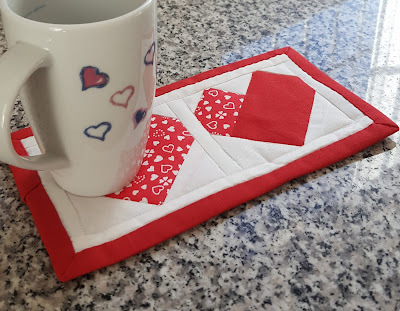 This Valentine mug rug didn't take much time to make so you can also have a lot of time enjoying your coffee and then making them for your beloved friends! I prepared a simple tutorial here for you, I've tried to make it as simple as possible. 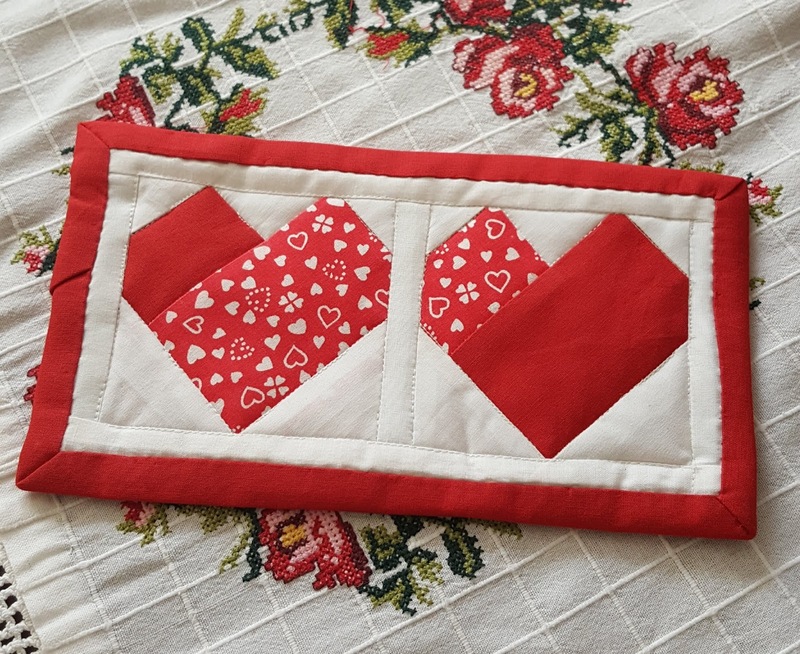 I used paper pieced heart pattern for this mug rug. First of all, you need to download the pattern below. 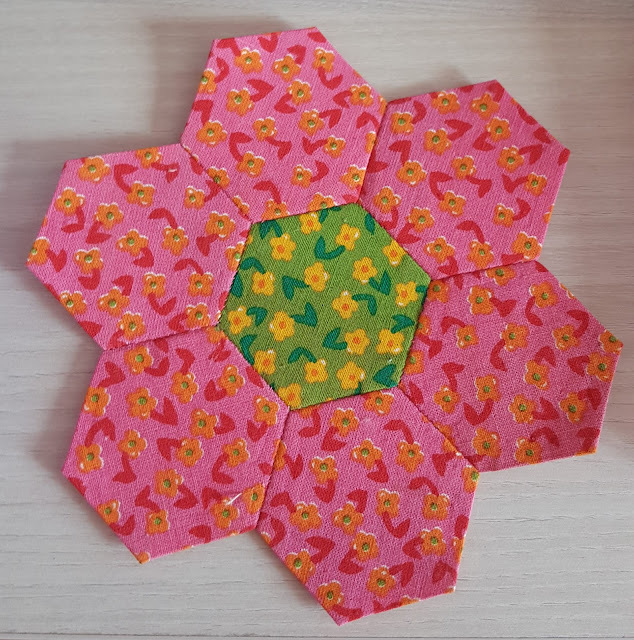 The paper template is used for foundation paper piecing which is my favourite technique since it gives perfect results. There are four pattern blocks in one paper, so you can make two mug rugs of that template. Cut out your paper templates. 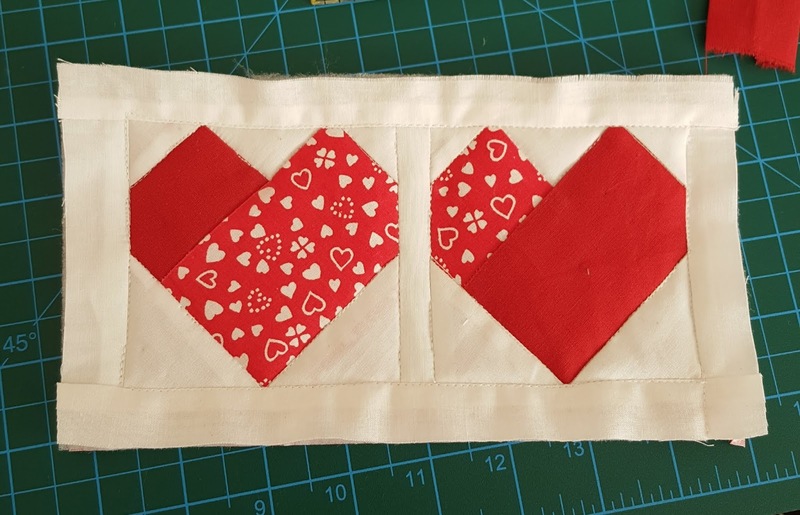 The interior part A2 and A4 is the heart shape and here I used red colour, for the other parts I used white solid fabric. The numbers on the template show the order of the fabrics to be sewn. For one mug rug you need to make two of the heart pattern. 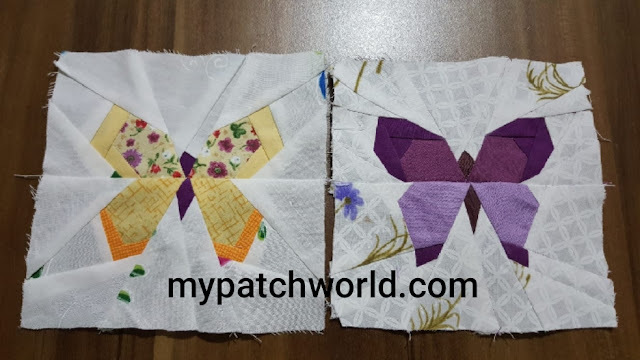 When you finish sewing your patterns, you add sashing and border. I preferred to use white solid fabric. 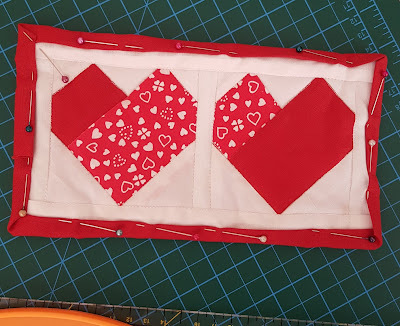 Now it is ready for quilting. We make the quilt sandwich and then quilt it. Finally you do the binding and it is ready to enjoy your coffee. 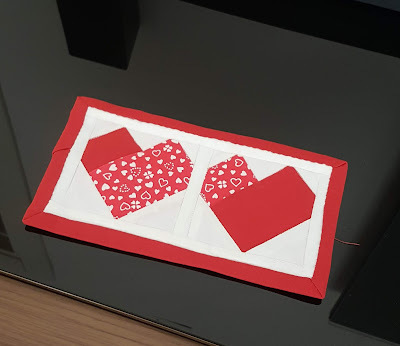 The first one I made is mine and the others will be coming soon to be gifted.